Many, many years ago my father took a team out from Vermont and traveled up and down the east coast with our ministry revival tent. I stayed back in Vermont for these travels but prepared a set of prerecorded worship songs disks for him to use in the tent for Praise and Worship. These disks have been used all over the world and I pray they continue to be useful for a long time to come. These are done without flair and performance value in mind, rather, they are simple, straightforward takes of some of our favorite Praise and Worship songs we've gathered over the years. We will continue to grow this library as we have time. 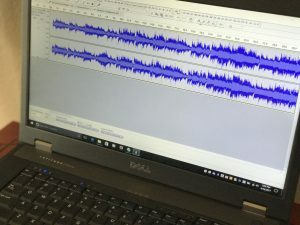 Prerecorded worship files. Please note we do not sell these or try to monetize these in anyway. I recorded covers of these songs for the sole purpose of helping people have something for praise and worship in their local fellowships. Please contact us for access to these files.